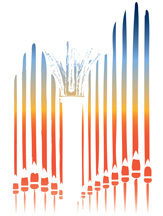 The fifth edition of the Madeira Organ Festival takes place from 17 to 26 October. It being a festival of established quality in its programming, it is one more event in the annual calendar that enriches the cultural events of Autumn in Madeira and, very particularly, the cultural tourism sector and all the visitors who come to Madeira at this time. The Organ Festival was created five years ago as part of the “Madeira Cultural Festivals” project, being in a sense the end of a long process of restoration of the organ heritage of this Autonomous Region, a precious historical legacy of over twenty instruments from the Iberian, Italian and English schools of organ building, of which there still exist significant examples in the churches of Madeira. Over the course of the years, and subsequent to the making of the inventory and organological description, the restoration of a number of these instruments was methodically undertaken, with subsequent recording and publication of CDs with different repertoires chosen for each of the organ, according to a strategy that aimed at bringing them before a the widest possible public. This objective of safeguarding our heritage became more and more visible with the publication of the book Organs of the Churches of Madeira. Finally, connecting the two extremes of a complete process that began with the surveying and inventorying and continued to the exposure and enjoyment of this singular heritage, we have the creation and execution of a great Organ Festival, which seeks to enable the viewing in harmony of the various faces of Beauty, historically moulded in the art of space (architecture) and of time (music), here once more linked in the aesthetic enjoyment that only culture may provide. Throughout this journey of almost two decades, which runs from the restoration of old instruments to the building of the great organ newly created for the Church of the Colégio and the subsequent foundation of the Festival the restoration work of the master organ builder Dinarte Machado deserves special mention, and the contribution of the organist João Vaz by means of the artistic direction of the festival; both with a deep knowledge of the diversity and richness of our organ heritage, and who were present, always with great enthusiasm and professional sensitivity, the whole process that allows us th present today the fifth edition of the Organ Festival, with repertoires that will allow us to hear the best of the great masters of European music. Qualifying and diversifying culture of the highest quality is the great objective of the “Madeira Cultural Festivals” project, developed by the Regional Secretariat for Culture, Tourism and Transport, and in this desire the Organ Festival occupies an important role, through the attractiveness and interchange to which it gives rise, and through the audiences it has already gained, promoting the best of our identity, both as heritage and art, in the much vaster world of cultural tourism. The Madeira Organ Festival returns once again to the churches of the Region. Crowning an intense and continuing activity of restoration, publicizing and valuing of the organ heritage of Madeira, carried out over the course of more than a decade by the Regional Government of Madeira, this festival has established itself as one of the most significant of its kind. It has been one of the objectives of the Festival, since its first edition, to present programmes that allow the exploration of the multiple potentialities of the instruments of the Island. 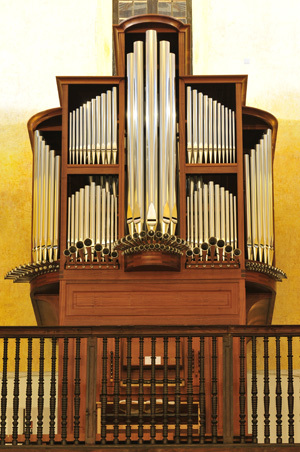 The 18th century organs of Portuguese origin, the organs imported from England in the 19th century and the recent organ of the Church of the Colégio have, during the last four years, been vehicles of the expression of varied repertoires, at the hands of many Portuguese and foreign organists. In this edition, the Church of the Colégio is the stage for two solo reticals by Pieter van Dijk and Joris Verdin, dedicated respectively to Johann Sebastian Bach and to Franco-Belgian music, while Iberian and Italian music from the 16th and 18th centuries is presented at the Church of Machico by the young organist Daniela Moreira. The duo made up of the soprano Rosana Orsini and the organist Marco Aurélio Brescia explores the fusion between organ and voice in the Churches of São Pedro (Funchal) and of Nossa Senhora de Guadalupe (Porto da Cruz), with late 18th century peninsular repertoire, while the organ of the Church of Igreja de São Martinho is played by João Santos, together with the Classical Orchestra of Madeira under the direction of Norbert Gomes. The programme of João Paulo Janeiro and Paula Erra is an unusual combination of organ and literary recitation, at the Church of the Convento do Bom Jesus. The 5th Madeira Organ Festival closes with another novelty: the presence of the harmonium. Extremely popular throughout the second half of the 19th century, this instrument fell into almost total disuse throughout the 20th century, and has only really been rehabilitated very recently. Joris Verdin is one of the world’s specialists in the harmonium, and brings us a solo programme with voice (with the participation of Maria Ferreira), which will demonstrate the poetential of the instrument, so little known today. In parallel with these concerts, a lecture by Rui Vieira Nery and a guided visit to two of the most important organs of Funchal will furnish a different perspective on organ music, and of the organ heritage of the Autonomous Region of Madeira.